Franklin died aged 76 in August following a battle with cancer and her legacy was honoured at one of the biggest nights in American music on Tuesday. 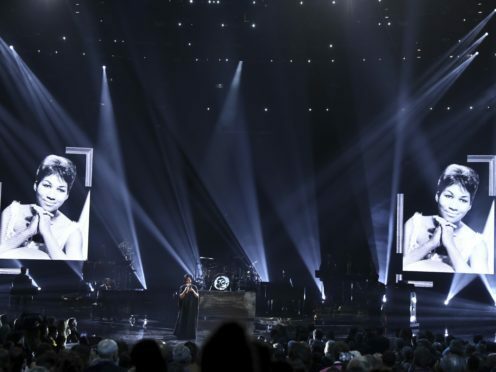 At the star-studded event in Los Angeles, Knight, herself considered a giant of soul music, was joined on stage by Ledisi, Mary Mary, Donnie McClurkin and CeCe Winans for a medley of gospel-style songs, including Amazing Grace. Knight, who performed You’ll Never Walk Alone at Franklin’s funeral, said: “It’s a blessing to be a part of this moving musical tribute to honour our late queen and sister, Aretha. As Knight finished her song, McClurkin entered with Climbing Higher Mountains before Winans led the audience with the hymn Mary Don’t You Weep (Pharaoh’s Army). By the time Ledisi was performing How I Got Over, many members of the audience were in the aisles dancing.